It is quarter to seven on a dreary Wednesday morning in the ASB room. A few students are already in the room and are visually tired and still sleepy, only having been awake for less than a couple of hours. As she patiently waits for every officer to show up ready to work for Zero Period, Ms. Bookwalter fans through her papers. She looks at the wall clock. 6:56. A few more students walk in through the door. Everyone greets each other and are happy to see everyone awake and (mostly) alert. Finally, all ASB officers are present and anxiously waiting for check-in and announcements. Ms. Bookwalter greets them a good morning as well, and finally allows AJ Carpio and Christopher Uy, the leaders and main facilitators of Zero Period, to lead the class and start the meeting. This is a typical Wednesday morning in the life of an ASB officer. 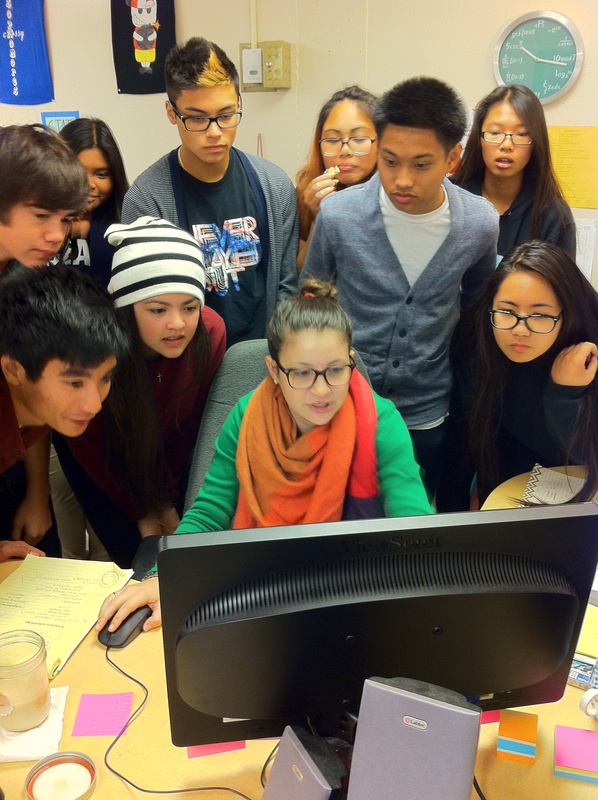 Most people have probably wondered what really happens in ASB or what the ASB officers officers are currently working on. Luckily, ASB has allowed The Weekly Fog to see what they have been working on for events coming soon to Oceana. 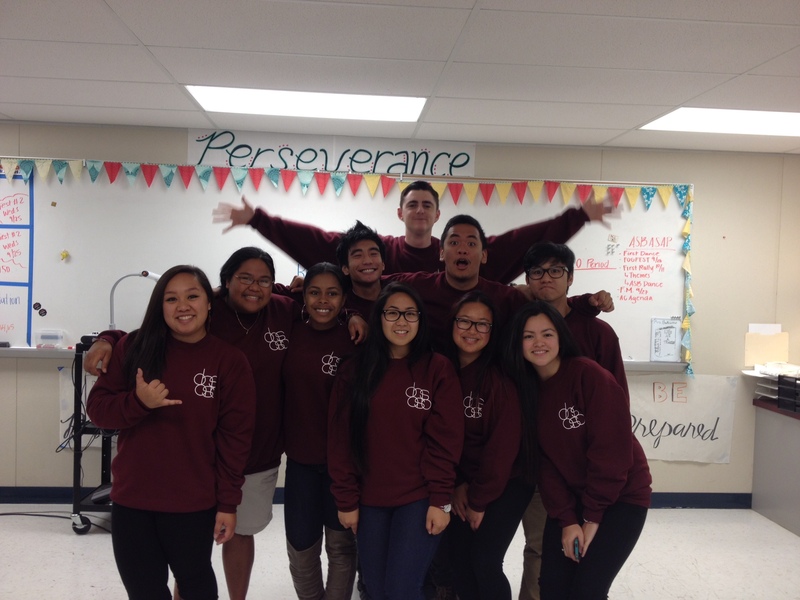 Some of your senior ASB student officers! From left to right (bottom row): AJ Carpio, Roann Dela Vega, Aanise Harrison, Celine Galliguez, Fatima Eusebio, Cheriza Infante. From left to right (top row): Christopher Uy, Travis Nuckolls, Jeremy C. Curimao, Kevin Salubre. The student officers are divided into five groups: four that represent the classes and one ASB group that represents the entire student body. The officers are led by Ms. Bookwalter, the current Student Activities Director (SAD). The Student Activities Director’s job is to essentially be the adviser of ASB, guiding our fellow officers to make the right and effective decisions and ultimately lead the student body. Currently, ASB is working on Oceana’s annual Winter Ball, which is going to be on the first weekend of December on the 7th. The theme of this year’s Winter Ball is based on the largely successful Baz Luhrmann film version of “The Great Gatsby”, and it is going to be coined simply as “The Great Ball”. For more information on ASB’s current plans and events, feel free to come and talk to Ms. Bookwalter or any of the ASB officers. They’ll be more than happy to inform you with the latest on their work for the school for the future.